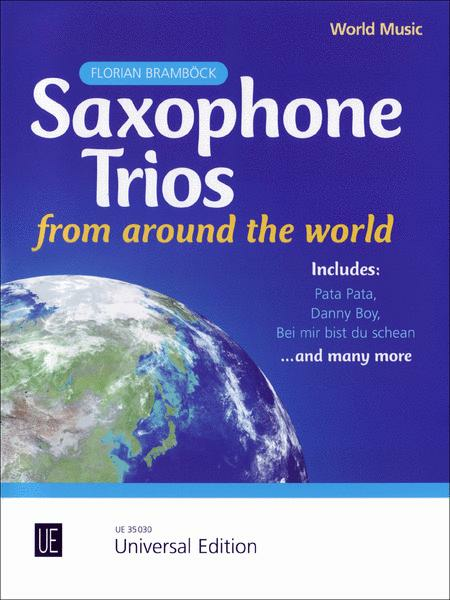 Florian Bramböck has brought together various musical styles and genres from around the world and arranged popular tunes for saxophone trio. Genres covered include: Afro-Latin Jazz, Celtic music, Alpine folk songs and Klezmer. Some songs featured are: ?Rio by Night,? ?Pata Pata,? ?Bei mir bist du schean,? ?Danny Boy,? ?Mardi Gras? and more. These pieces will suit intermediate-level players and all three parts are well-balanced. Along with original compositions, the arrangements of popular melodies bring a fresh variety of new tonal and rhythmic elements into play, improving technique and the necessary skills for ensemble playing. Above all else however, this lively and stylistically diverse collection will be enjoyed by all.